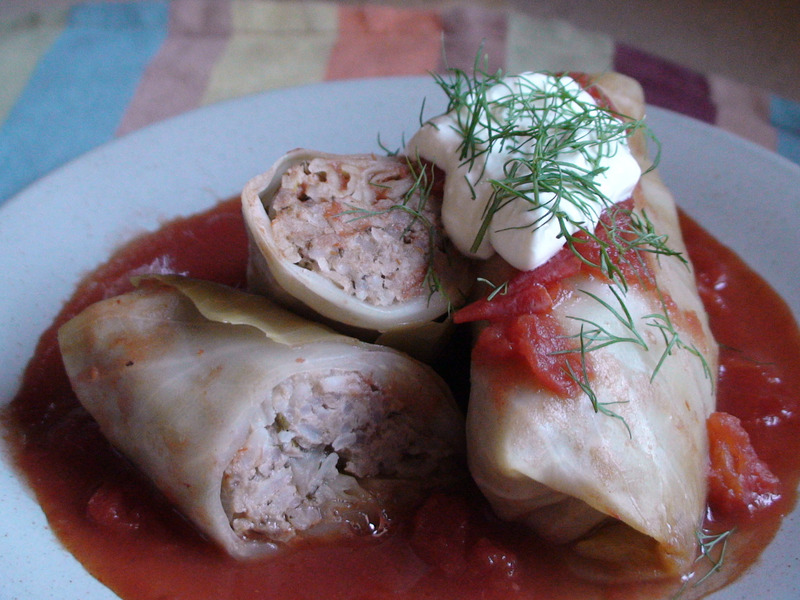 During one of the most humid spells I can remember in recent times, I decided to make Stuffed Cabbage from the Sassy Radish blog. I am not sure why I did this, other than to make something new and a bit different- read Russian. 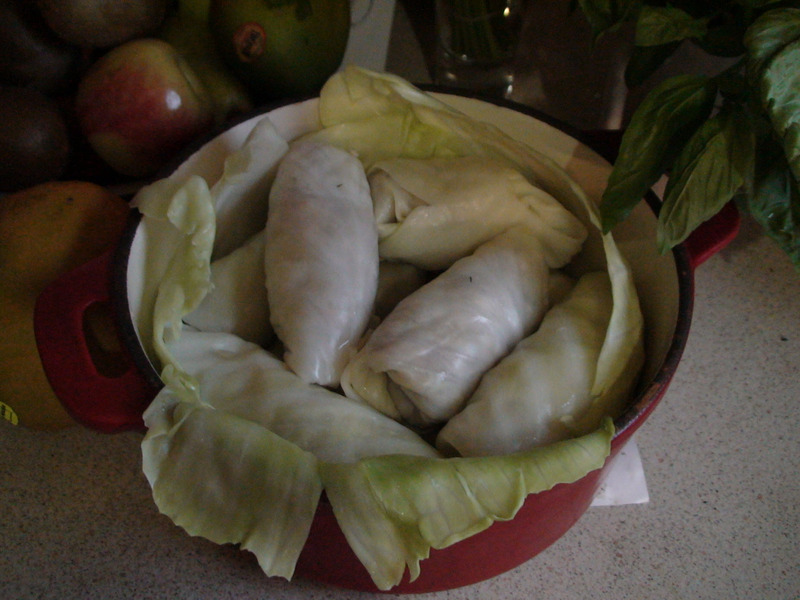 The recipe I followed was a little vague, so I steamed the cabbage leaves from the cabbage one by one – effective method. But then I realised the leaves were still not pliable enough to wrap the stuffing, so I had to do a little last-minute blanching. The rolling of the stuffing in the leaves was pretty easy, then I just jammed them in the leaf lined pot and covered the lot with the tomato and cabbage water mix. Onto the stove for at least an hour. There is no time given in the recipe as to how long it will take to pull together, I think it took me at least an hour(and a half!). And after 30mins on the stove, cumin4ya decided the oven was a better option at 130 celsius. The jury is still out on stove versus oven, as we cooked them 40mins past the original hour in the oven! 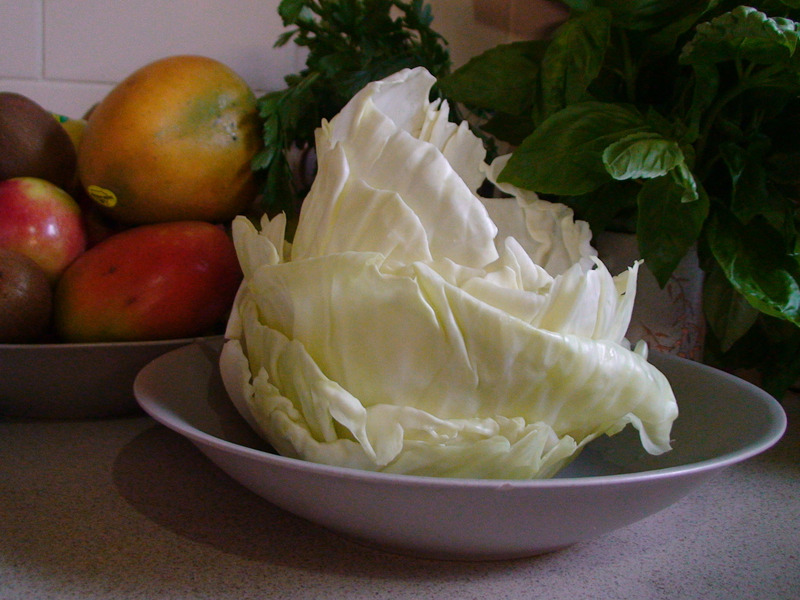 I think this was more to do with the blanching – the cabbages leaves need a bloody good blanch and did not get enough. All in all a hearty outcome, albeit a little bland. 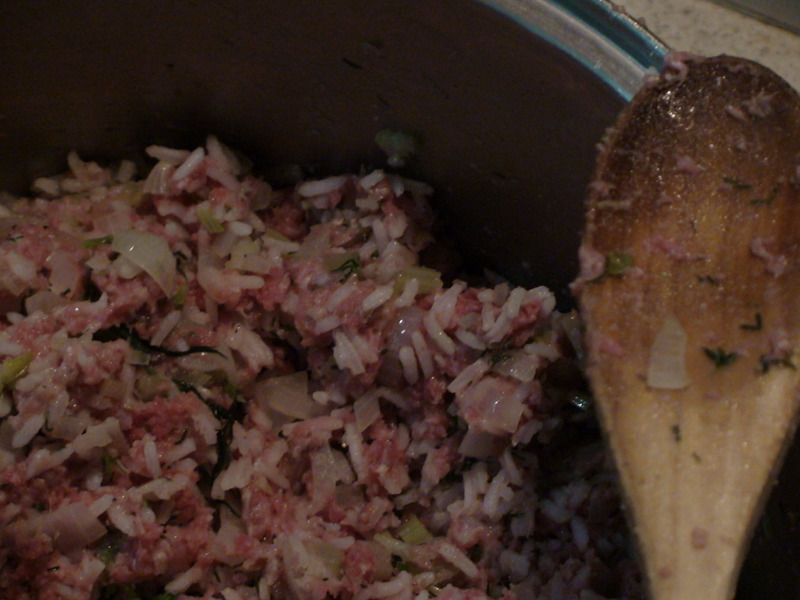 But, that is to be expected when the stuffing comprises of mince, rice, onion, garlic, celery and dill – as above. Would I make it again? Yes. In winter, when I reckon I would насмехаться! Looks awesome! And you speak very good Russian!